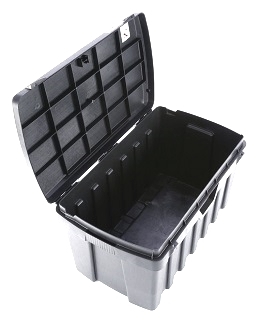 DESCRIPTION: Economical tool storage box. Fits Laron welder plus accessories, larger equipment, automatic welders, tools, etc. Metal hinge pins for durability. Underside of lid is reinforced. Resistant to temperature extremes and common chemicals.